Thank you to everyone who attended, celebrating these two amazing athletes. Click here to see the full gallery of photos. 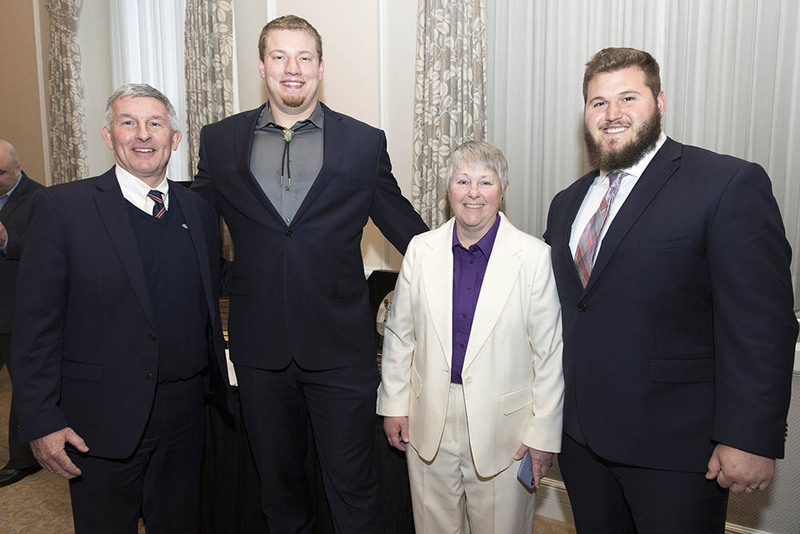 2018 Morris Trophy Award Presentation date – Thursday, January 17, 2019 at the Washington Athletic Club in downtown Seattle. For ticket information, contact Darin Barr at dbarr@wac.net. 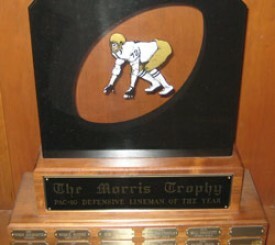 The Morris Trophy is the college football award given annually to the top offensive lineman and defensive lineman in the Pacific-12 Conference. Founded by Traci Morris, it has been awarded since 1980. Traci’s idea was to have players vote for the best opponent they faced on the field. As such it is one of the best awards a player can receive. It truly comes from his peers.